Here, if it glows, it belongs. This, of course, if the Ultra-Lounge. 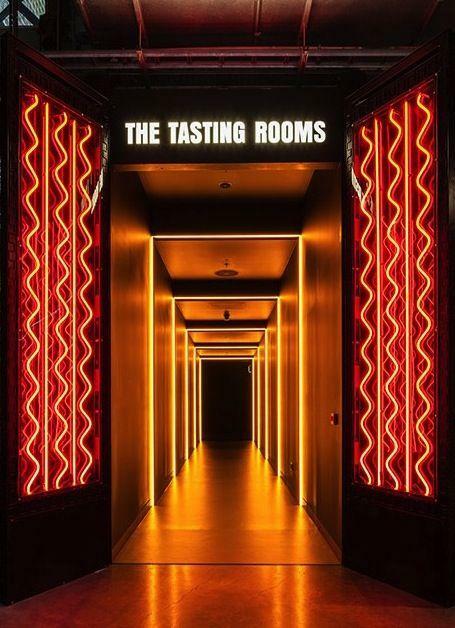 Your hypnotic, glowing headquarters for fun and funk. 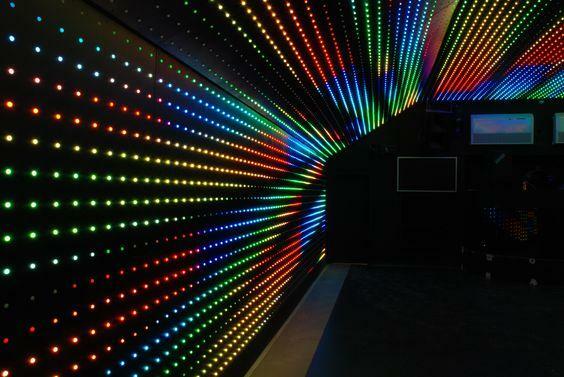 LEDs have exploded in recent years, a welcome development for event planners. LEDs are, after all, a more compact, less heat-emitting and energy-sucking alternative to traditional lighting. Plus, they’re incredibly flexible. Some LED lighting can be bent, while other types can change color in the flash of a second. 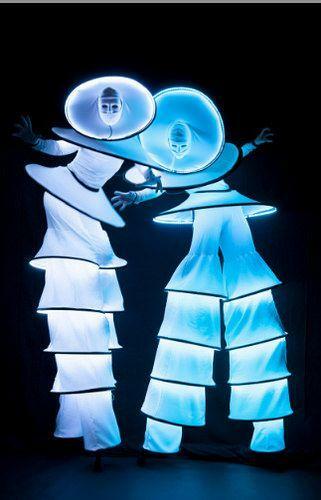 Some LED usage will liven up any party, but a party that is LED themed? That’s one bright idea. Here are a few of my favorite inspirational images from around the world of event planning. 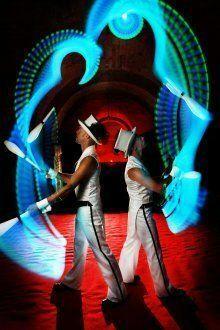 LED juggling and stilt-walking mimes. Need I say more? 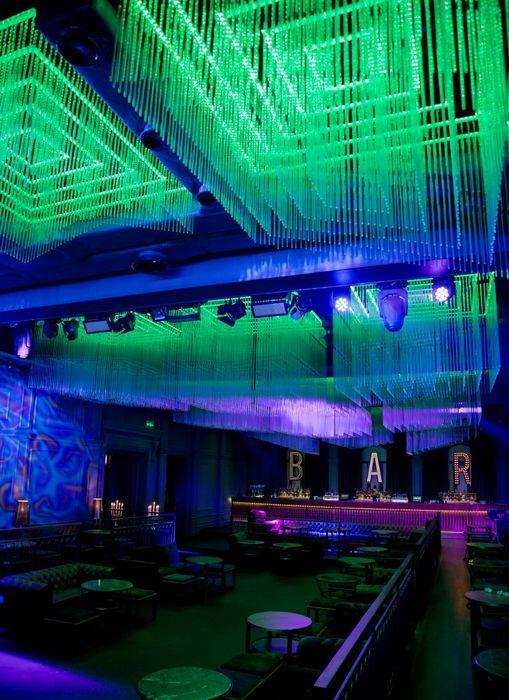 Hanging LED lights in hypnotic patterns, and wall-mounted flexible LED tubes pack a visual punch. 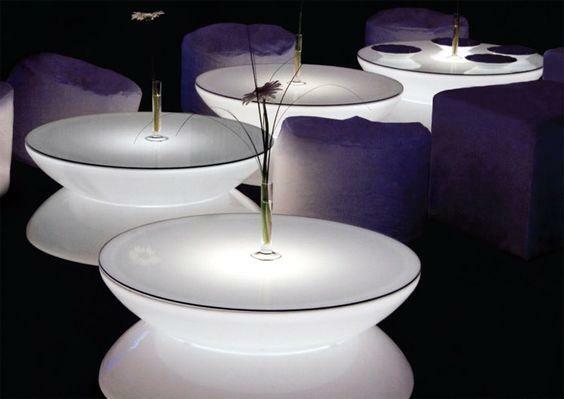 Light-up LED tables don’t even need a centerpiece to look incredible! This event planner added some anyway. Now that’s a pool party. Illuminated pool chairs. Who woulda’ thought?